In the 20 years since Google was founded, it’s grown into one of the biggest companies on earth—but its original purpose, search, is still as relevant as ever. How many times a day do you type a few words into that search bar and click on a result? For most of us, the answer is dozens, if not hundreds. For a product that’s used so frequently, there’s a lot Google can do that you might not know about. With that in mind, we’ve rounded up tricks to help you get the most out of Search, from simple tricks for narrowing down your results to more advanced methods for finding hidden files and pages online. You probably already know some or all of these, but it’s worth going over the basics in case you don’t. If you’re searching for a specific series of words, like a quote, just put those words in quotation marks (e.g. “The moral arc of the universe bends at the elbow of justice”). Alternatively, if you want to rule out any search results that include a certain word, just add a minus sign before that word (e.g. “Martin Luther King -quotes”). You can also search for results from a specific website with the format “site:mentalfloss.com”—or whatever other site you’re looking for. Google’s image search is a great tool for finding photos online, but you can also use it to learn more about a picture you’ve already found. Just right click on the image and select “Search Google for Image.” Google will offer up a definition of whatever you’re looking at, along with other web pages that use that image and a few relevant links. If you’re searching for a specific quote but you can’t remember one of the words, just put an asterisk in its place. That tells Google there’s a word missing so you get the best results. This also works for song lyrics or article headlines that you can’t quite remember. Adding a capitalized AND or OR to your search can help narrow down your results as well, thanks to a method called Boolean Search. Putting an AND in your search between two words makes it clear that you want to see results with both of those terms included. Meanwhile, using OR will tell Google you only want to see links that include one of those two words. If you’re looking at a specific website or article and want to find more information on the same subject, just add “related:” right before the URL. This works for general sites (e.g. related:mentalfloss.com), along with individual web pages (e.g. related:http://mentalfloss.com/article/530750/15-easy-ways-extend-your-phones-battery-life). If you’re searching for numeric results inside a specific range, there’s an easy way to do that in Google. Just put two period marks in between the two numbers. It works with basic numbers (1..10), dates (1960..1970), financial figures ($500..$1000), and other units of measurement (40..50 miles per gallon). You can narrow your search results to a specific part of a web page with a few different commands. To focus exclusively on headlines, just add “allintitle:” before your search. You can also do the same for body text (“allintext:”) or the web address (“allinurl:”). If the website or article you’re looking for no longer exists online, you can still use Google to track it down. Just click on the small downward facing arrow next to the URL in your search results and select "Cached." That will pull up an archived version of the site. If you’re looking for an older article that was never posted online, Google has a whole separate site set up for just that. Head to news.google.com/newspapers to look through scanned copies of old newspapers and search for specific topics. If you run a website or published an article online and you’re curious to see who’s sharing it, there’s an easy way to find out. Just copy the URL in question and paste it into Google’s search bar with quotations marks on either side. The results will reveal any other sites that are sharing your content. To narrow your search to a specific part of the world, just add “location:texas” (or wherever you’re looking) to the end of your search. Google will also automatically factor in your current location if you’re looking for something like nearby restaurants, but this is a useful trick if you need to plan for an upcoming trip. You can also use Google to search for certain types of files, like PDFs, audio files, and Powerpoint presentations. Just add “filetype:pdf” (or the extension for whatever type of file you’re looking for) to your search and Google will narrow down the results automatically. Beyond helping you find the information you’re looking for, Google is also packed full of hidden surprises. Over the years, developers have added various Easter eggs into Search, and most of them are still there. Try searching “do a barrel roll” to make the screen spin around in an homage to Nintendo’s Starfox games. You can also search “zerg rush” to launch a minigame, and search “bubble level” on your phone to create a virtual level tool that actually works. Google’s also added dozens of useful tools to show you information right from the results page. You can search “weather new york” (or wherever you are) to get a forecast. 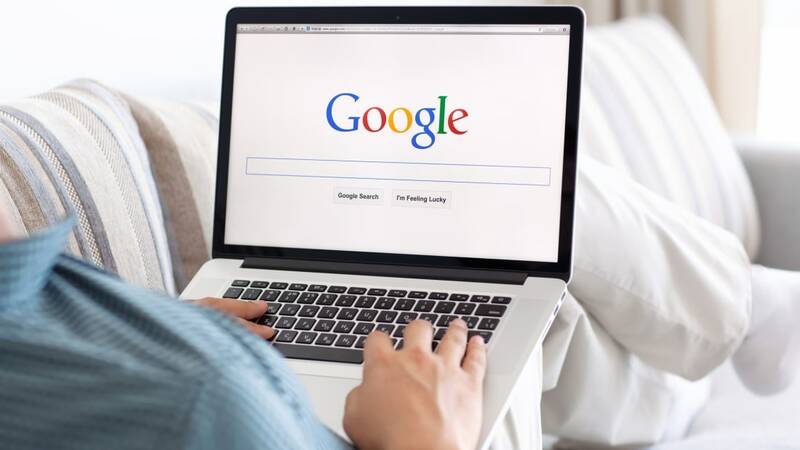 You can also ask Google for stock quotes, sports scores, sunset and sunrise times, word translations, definition, movie showtimes, currency or unit conversions, and your public IP address. Google even has a widget to help you search for plane tickets, a built-in calculator, stopwatch, and countdown timer.